My skin has been so on-point lately, and I have to thank the Shiseido IBUKI Multi Solution Gel. You probably remember me mentioning it from a recent post: Travel-Friendly Skincare for Warm and Humid Climates. If not, I’m going to get into a bit more detail here, and one lucky reader will be able to win one! So keep reading. The Shiseido IBUKI Multi Solution Gel is an unscented, dense, bouncy gel-formula that helps diminish breakouts, roughness, dryness and the look of visible pores. Exclusive PhytoTarget Complex enhances skin’s natural moisture factors*, to help build skin’s resistance to external stressors. Salicylic Acid helps reduce acne and allows skin to heal. Leaves skin looking supple and feeling smooth. The cold weather here in NYC can lead to dryer skin. Just by adding a bit of the Shiseido IBUKI Multi Solution Gel to my routine has helped increase the moisture and suppleness of my skin. My skin, I’ve noticed, is baby soft. At times I catch myself, just touching my face – I know that’s bad, but I can’t help it – because my skin is just that soft and smooth! Although I don’t suffer from acne much, I do have an occasional hormonal breakout during ‘that time of the month’, I’ve found that adding the IBUKI Multi Solution Gel to my morning and evening routines have helped lessen the breakouts. In my previous post, I mentioned not using the Shiseido IBUKI Multi Solution Gel under my makeup. Since then, I’ve been able to experiment with it a bit more. I use it under my tinted moisturizer or foundation during the day, and in the evenings I apply the IBUKI Multi Solution Gel. The gel doesn’t pill or doesn’t interfere with makeup application; however, I didn’t notice any difference in the amount of oil reduced due to me applying the IBUKI Multi Solution Gel prior to applying my tinted moisturizer/foundation. 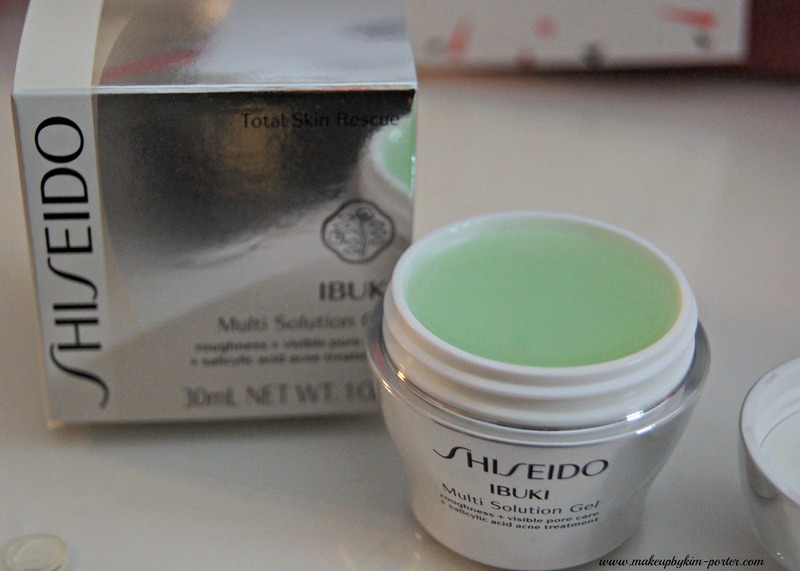 My experience with the Shiseido IBUKI Multi Solution Gel was positive. If you have acne prone skin that’s dry, and needs help in achieving smoothness, then this may be the product for you. I know that I can’t wait to get my hands on other products from the Shiseido IBUKI line. 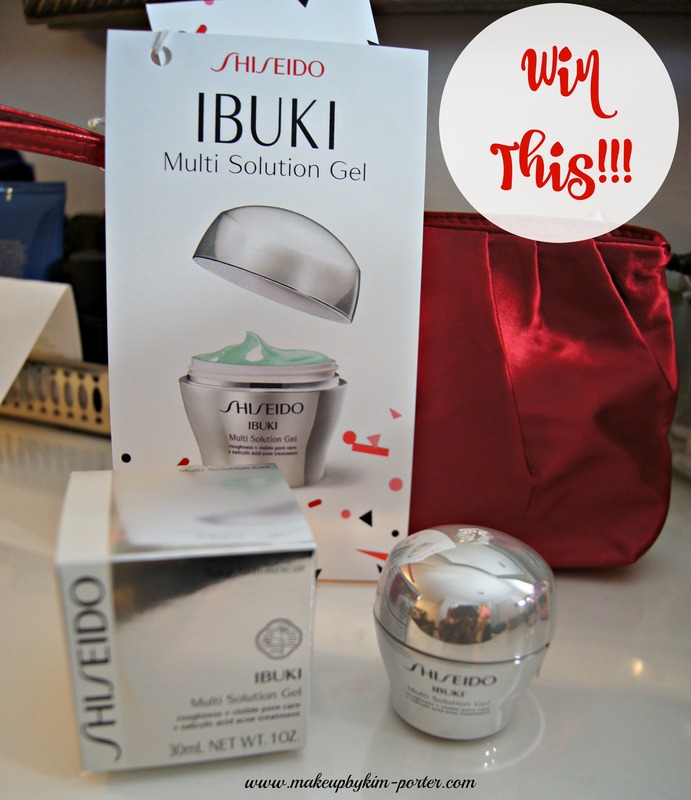 You can pick up a 30ml package of the Shiseido IBUKI Multi Solution Gel for $38. 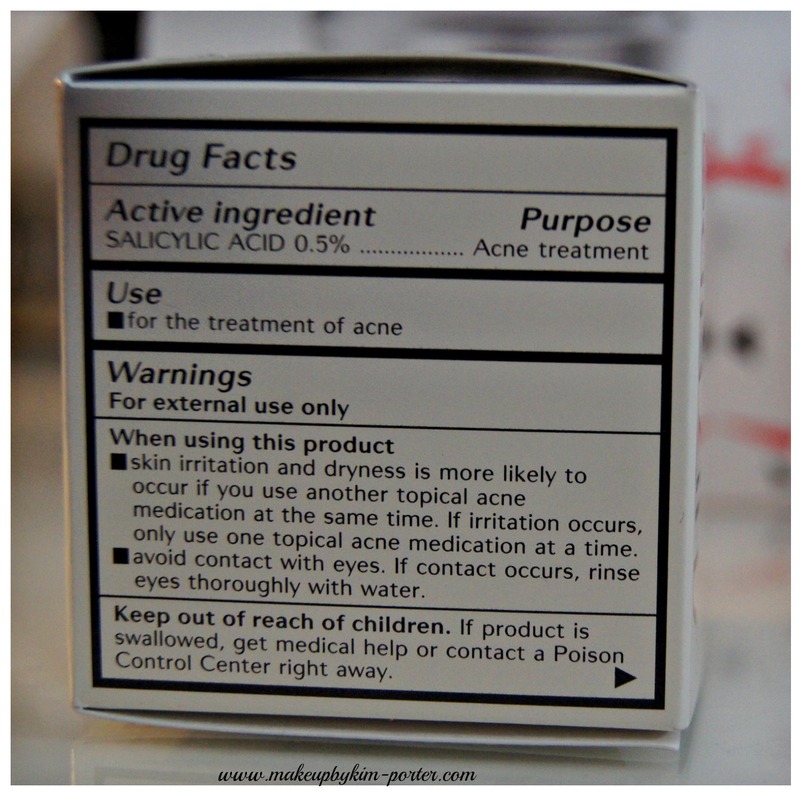 Ingredients: Salicylic Acid 0.5%: Acne treatment. Water, Butylene Glycol, Sd Alcohol 40-B, Dimethicone, Peg/Ppg-14/7 Dimethyl Ether, Peg-240/Hdi Copolymer Bis-Decyltetradeceth-20 Ether, Glycyl Glycine, Peg-60 Hydrogenated Castor Oil, Silica, Trehalose, Sodium Chloride, Gellan Gum, Dipotassium Glycyrrhizate, Serine, Polyquaternium-51, Paeonia Suffruticosa Root Extract, Aesculus Hippocastanum (Horse Chestnut) Seed Extract, Hydrogenated Lecithin, Potassium Hydroxide, Disodium Edta, Sodium Citrate, Acrylates/C10-30 Alkyl Acrylate Crosspolymer, Alcohol, Citric Acid, Glycerin, Bht, Peg-30 Soy Sterol, Trisodium Edta, Phenoxyethanol, Fragrance, Yellow 5, Blue 1. I've been reading so much about this product lately. I get adult acne once a month real bad,cyst like,very painful and I've been wanting to try this product to see if it would help. Many of the acne products out there dry my skin out and don't work well with mature skin. Thanks for the chance. I LOVE this stuff! Good luck to the entrants! My recent post Sterling Silver Soufeel Charm Bracelets for Christmas! Did this irritate your skin at all? I never thought I'd have dry skin (I used to wash my face with Safeguard soap) but, it finally happened. I like that this will help with the once a month breakouts and isn't aimed at those with oily skin. I would love try this. My skin has NOT been on point lately! I have moderate acne and combination skin that is getting better and am always open to try new products. Thanks. I really like this, and it seems to work okay with my sensitive skin ! Sounds like a great cream. My skin is dry though so it would not work for me, personally. 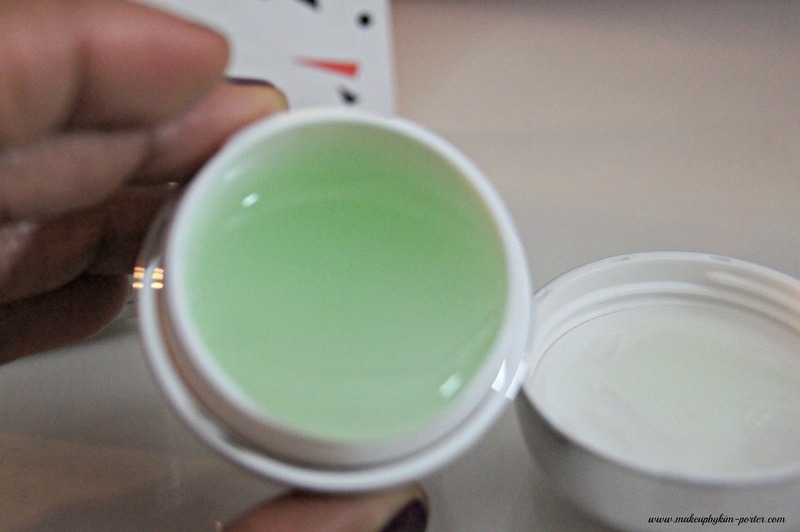 I love gel moisturizers, and my skin has been crazy with breakouts this last week. I need to try something new. Hope I win! Thanks for offering the giveaway. I love the look of this. thanks for the giveaway! I like gel moisturizers because they absorb well. This sounds great. My skin is now dry or I'd want this for sure. My recent post Makeup Wars: Stocking Stuffers for Beauty Lovers! I've not tried anything like this! It sounds very nice. I like this! What surprised me is that it doesn't dry out my skin. It leaves the small area where I use it feeling soft and velvety. This has become one of my favorite skin care products – I love it. I have this and I love it! It sounds pretty nice. My skin is really dry but I think the salycitic acid would help exfoliate. I have acne-prone skin, but it's on the oily side. I'm still thinking this product can help exfoliate my skin! Shiseido is a renowned brand and I have kind of sensitive skin maybe it will help me with that. It would help keep my skin clear and even! It will help with my breakouts. I'm dry and acne prone. This sounds like it would help exfoliate while providing moisture. I love gel moisturizers 🙂 texture looks nice! My skin would really benefit! I have occasional break outs and large pores on my nose, if this could help it would be great!